Soundcrash, back again. Back again, with a KILLER event. What’s new? Huh. 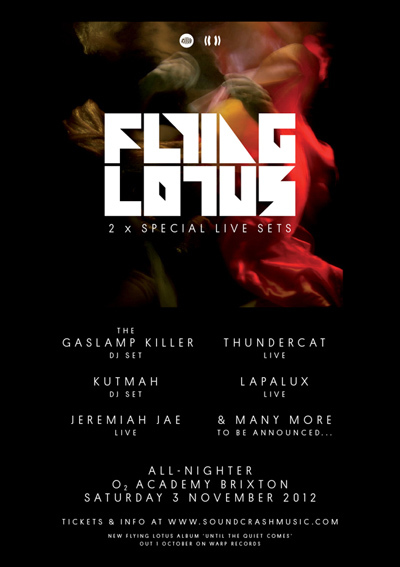 Flying Lotus brings his Brainfeeder sound as part of his tour to the Brixton Academy on Saturday 3rd November. With him, he brings a posse of some of the finest beatsmiths, DJs, producers, whatever you like to call them: The Gaslamp Killer, Thundercat, Kutmah, Lapalux, Jeremiah Jae and many more, yet to be announced. FlyLo himself will be commanding 2 live sets, YES TWO as this event runs from 9pm through till 6am. 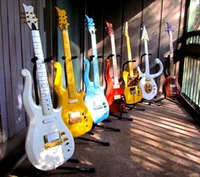 ROADBLOCK ALERT! Tickets go on sale tomorrow at 9am and this is sure to sell out very quickly. Priced at £38.50 inc booking fee, you’re going to need to snap one up for what I am happy to say, will be one of the events of the year.